Leeds City are in talks with Mbaye Diagne after making an enquiry for the the Kasimpasa striker. Turkish-Football reported Bournemouth, Hull City and Reading have also held talks with Diagne’s representative Ediz Balkan in Belgium. Leeds had been informed that the striker would cost around £3.6m [€4m] but negotiations hit a snag after it was revealed that the striker would have to apply to the FA for a work permit to play in England. Balkan has informed the clubs keen on Diagne that they have applied for a EU passport. Diagne was born in Senegal but was signed by Italian side A.S.D Brandizzo as a youth player before being promoted to the senior side aged 18. After a spell at Bra the striker moved to Juventus in 2013. The 26-year-old is eligible to receive an Italian passport which would give him EU status, meaning he would not require a work permit to play in England. The only problem it could mean a potential move is delayed until the winter transfer window. Diagne also has interest from Russia where he would not require a work permit to play. The Senegalese forward is however, keen on a move to England over Russia. The striker has one-year remaining on his current contract but Kasimpasa have the option to extend his deal by an additional-season. 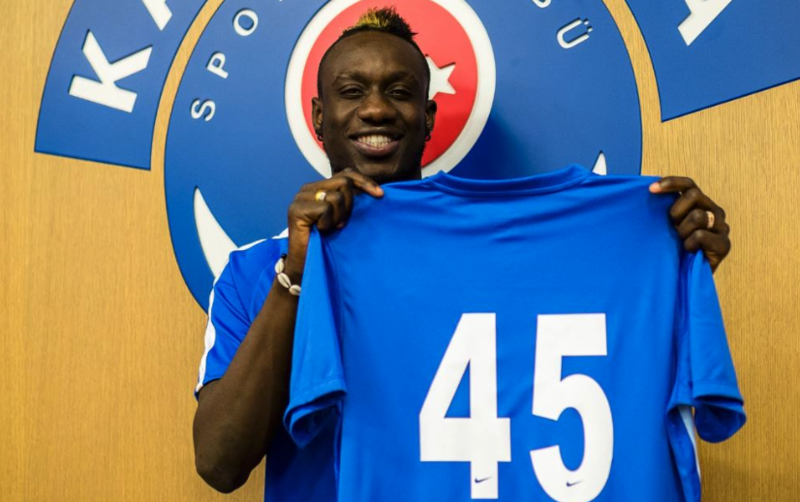 Diagne was a highly rated striker when Juventus signed him in 2013 but his career stagnated with loan moves to AC Ajaccio, Lierse, Shabab and Westerlo. The powerful forward showed signs of returning to form after joining Kasimpsa. Diagne went onto score 12 goals in 19 Super Lig appearances attracting interest from the domestic league and across Europe.